There’s no faster way to navigate your computer than with keyboard shortcuts, and Windows continues to add more with each new version. Everything begins on the taskbar and Start menu, though, so it’s really handy to use them without ever clicking your mouse. Here are some useful keyboard shortcuts for working with the Windows taskbar. There are not a lot of specific keyboard shortcuts for working with the Start menu, but you can still use your keyboard to navigate it and launch apps. For starters, you can open the Start menu by hitting the Windows key or by pressing Ctrl+Esc. You can close the Start menu by pressing Windows or Esc. 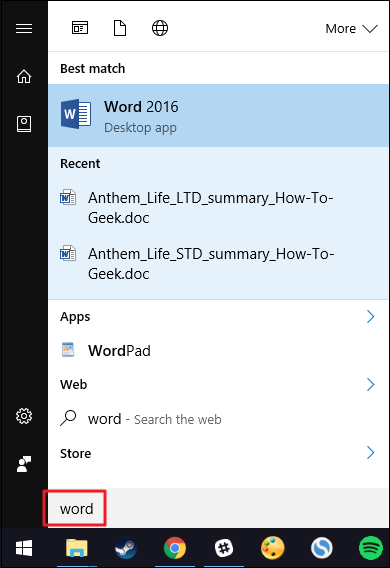 The Start menu is organized into three columns–folders, apps, and tiles. Use Tab and Shift+Tab to jump between those columns. Within a column, use your arrow keys to move around and press Enter to open whatever is highlighted. Note that if you use the right arrow key on an app that supports jumplists, it will display the jumplist, and you can use the left arrow to back out of the jumplist. But the real power of the Start menu isn’t actually in its menus–it’s the built-in Search (and, in Windows 10, Cortana) features. Just press the Windows key to open the Start menu, and start typing. Whether you’re looking to launch an app, visit a page in the Control Panel, or see what events are coming up on your calendar, you can do it all without ever touching the mouse. Windows 8 and 10 also added a new, somewhat hidden menu with more advanced options. Press Windows+X to open the Power Users menu, which–unlike the beginner-friendly Start menu–provides quick access to powerful utilities like the Event Viewer, Device Manager, Command Prompt, and more. After opening the Power Users menu with Windows+X, you can then press any of the underlined letters in the shortcut names to launch that utility. Or, you can just use your arrow keys to move up and down and press Enter to launch your selection. The first ten apps on your taskbar are assigned numbers from 1 through 0, left to right. This allows you to launch them with your keyboard. Press the Windows key along with a number key to launch the corresponding app. On the taskbar above, for example, Windows+3 would launch Google Chrome, Windows+4 would launch Slack, and so on all the way up through Windows+0 for Outlook. Using these keyboard shortcuts on an app that’s already running will toggle the app between a minimized and maximized state. You can also hold down Shift while using those shortcuts to launch a new instance of an app that’s already running. In our example, pressing Shift+Windows+3 would open a new window for Chrome, even if Chrome is already open. Using the Ctrl key with those shortcuts displays the most recently launched instance of an app. 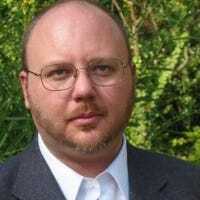 For example, say you had three File Explorer windows open on your PC, and File Explorer was in the first position on your taskbar. Pressing Ctrl+Windows+1 would show you the File Explorer window you most recently opened. The Alt key modifies the basic shortcut to open an app’s jumplist. So, pressing Alt+Windows+8 in our example would pop up Notepad’s jumplist. You can then use your arrow keys to select an entry on the jumplist and then press Enter to launch your selection. And while the number shortcuts only go up to ten, you can also press Windows+T to highlight the first app on your taskbar, then use your arrow keys to move through all your taskbar apps and press Enter to launch whatever is highlighted. 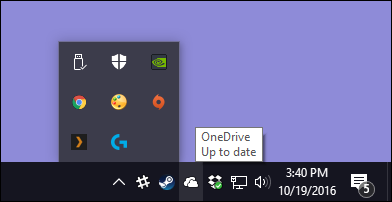 You can also perform a similar trick in the Notification Area (or system tray) at the right end of the taskbar. Press Windows+B to highlight the first item in the Notification Area–usually the up arrow that leads to additional icons–and then use your arrow keys to move around. Pressing Enter selects whatever is the default action for the icon. Or you can press your Context key (if your keyboard has one) or Shift+F10 to open the full context menu for the icon. Shift+click an app on the taskbar to open a new instance of the app. Ctrl+Shift+click an app to open it as an administrator. Shift+right-click an app to open the context menu for the underlying application. 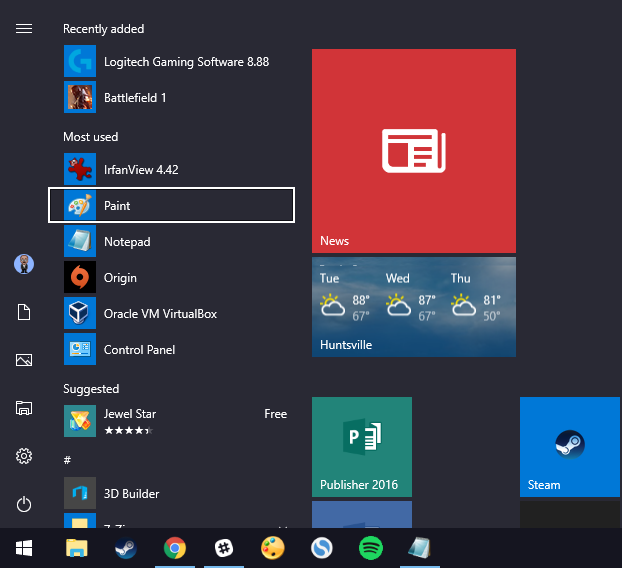 Just right-clicking an app on the taskbar opens the jumplist for apps that support them or the context menu for the shortcut itself. Hold Ctrl while clicking a grouped app (one which has more than one instance open) to cycle through the open instances of the app. And there you have it. While there aren’t a huge number of keyboard shortcuts for working with your taskbar, there are more than enough to do pretty much anything you can do with your mouse.